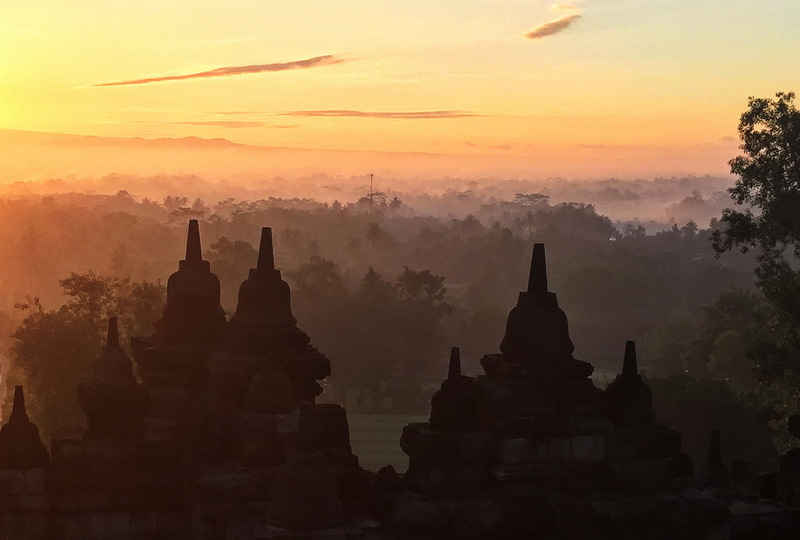 A Borobudur sunrise visit is definitely going to be one of the undeniable highlights of any Java, or for that matter, Indonesia tour. 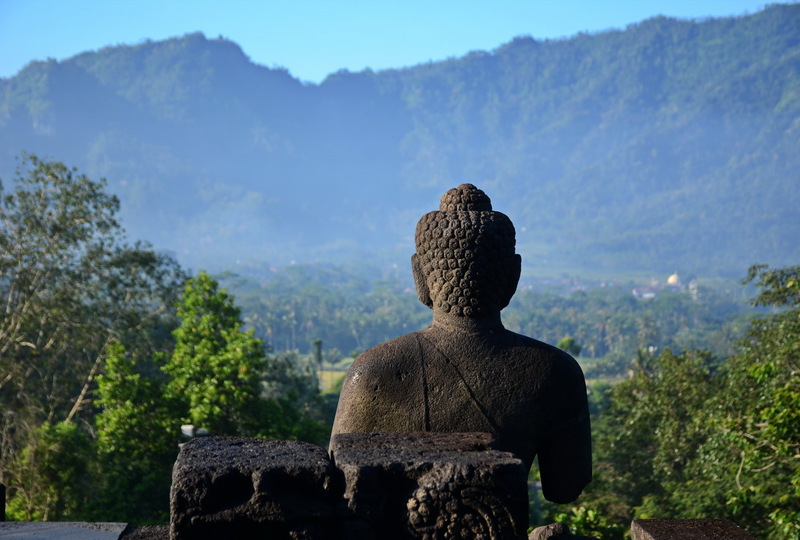 Certainly, a world-renowned site but just to remind you; UNESCO World Heritage Borobudur is a 9th-10th century Mahayana Buddhist Temple situated around 40 kilometres northwest of Yogyakarta City. 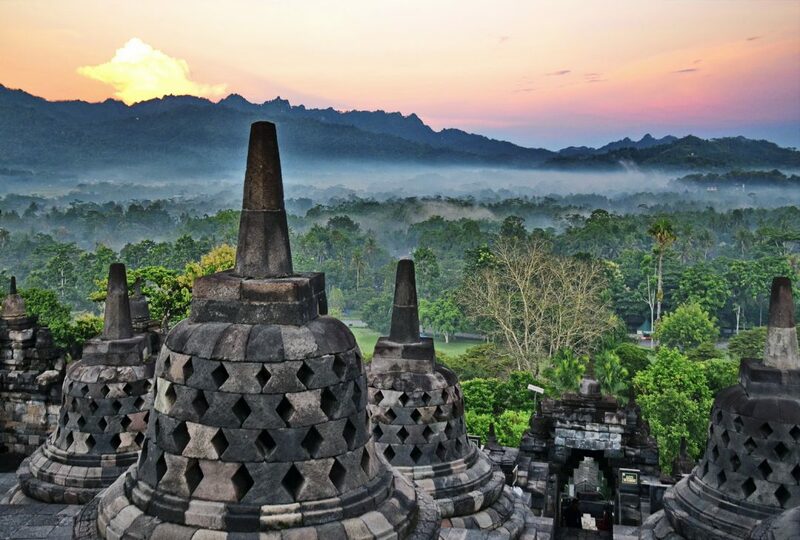 Despite sunrises being notoriously unpredictable, we’d reckon that the iconic temple silhouette, lush valley setting with its towering trees and swirling mists plus the dramatic backdrop of hills and volcanoes out to ensure spectacular views whatever the weather conditions on any given morning. 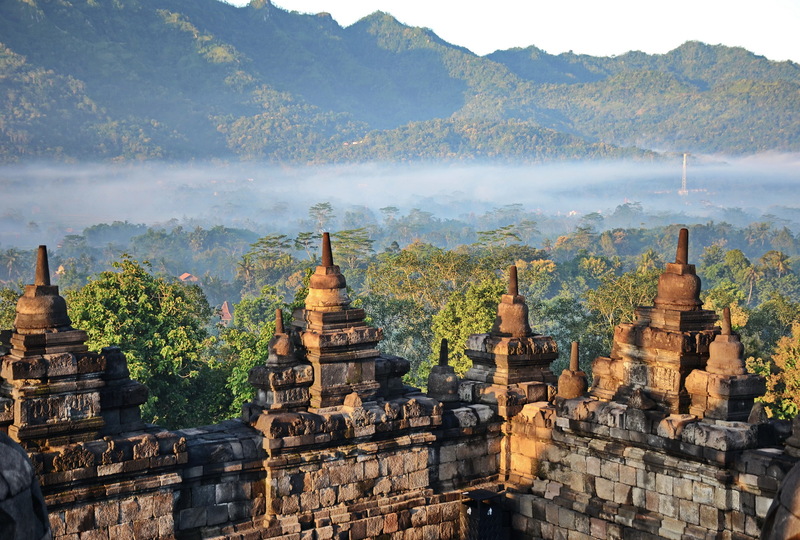 Having seen quite a few ancient temples in Southeast Asia and having been lucky enough to witness numerous sunrises at Angkor and Bagan to name just two we’d say what was really special about Borobudur is indeed this awe-inspiring setting. 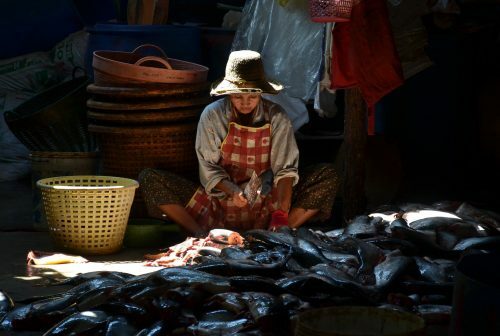 Yes, the massive pyramid structure, myriad Buddha images and well-preserved reliefs are highly impressive but, as with for instance Bagan, it’s the overall picture and atmosphere that are truly unforgettable. 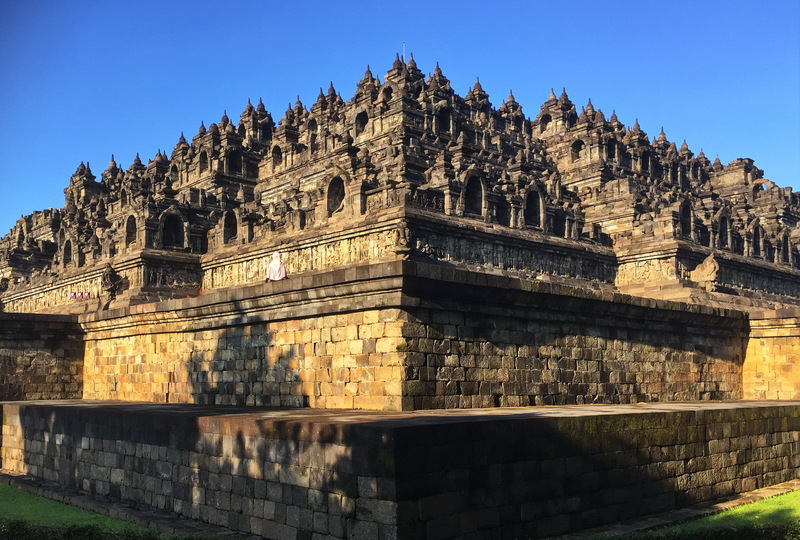 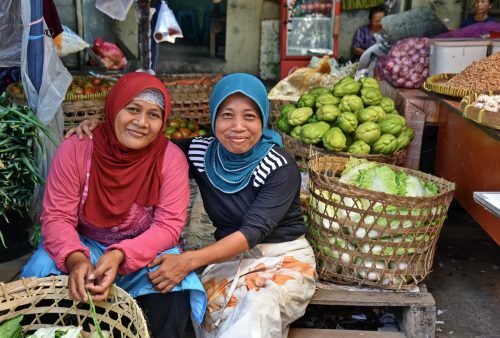 Once the sun had risen we had time to peruse the fantastic reliefs and get some daylight overview shots before grabbing the complimentary tea and banana fritters (a nice touch) and getting back to our Yogyakarta hotel in time for their buffet breakfast.